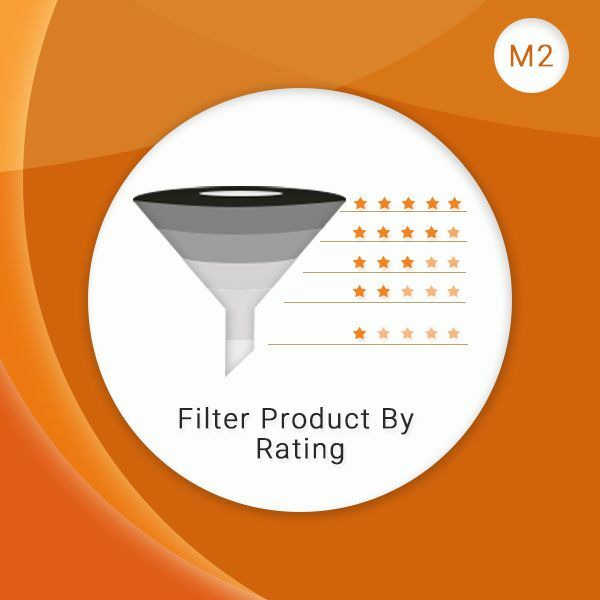 Having knowledge and experience of how important it is to have a rating feature in the filter option of E-Commerce website SunCart offers you our one of the best Extension called Filter Product by Rating for both Magento 1 and 2. When your customers can’t sense the product quality through physical touch, at that moment it is the filtration through rating and reviews that urge them to buy products from your E-Commerce store. The Extension allows your customers to filter out products through rating such filtration help them to put their valuable time to learn about the product which is more recommended by others. Additionally, it improves the user experience by making the online store user-friendly. As the extension brings the highest rated product of the category on the top of the search so, what your customers see is the most loved product on your online store. Extension can be easily installed and configured in the backend. To simplify more we provide a user guide for our every extension buyer. It allows viewing the product in descending order of rating that will help viewers to decide more quickly. All in all, People are moving to online shopping because they feel convenient to shop from their comfortable environment. So, let's make their shopping experience more joyful and relaxing by providing them access to filter out the product through rating. Add our extension in your Magento store to give the opportunity to your customers to utilize the high rated services and products which your site has to offer. In a nutshell, showing products through rating builds a strong bond between you and your customers. Get the SunCart’s upgraded extension at minimum cost and start creating a trustful and strong relationship with your customers. For more details visit SunCart Store.